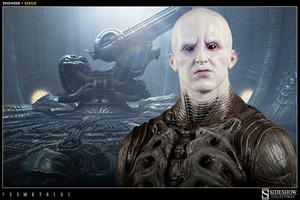 "A superior species, no doubt." 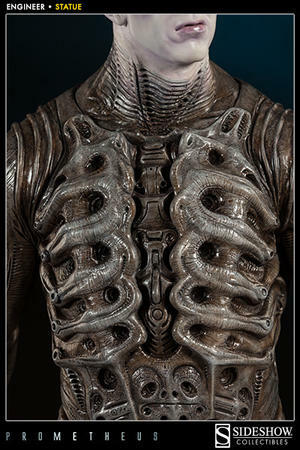 Exploring the unresolved mysteries of the Aliens universe, Ridley Scott's 2012 sci-fi thriller Prometheus introduced fans to the advanced race of beings known as the Engineers. 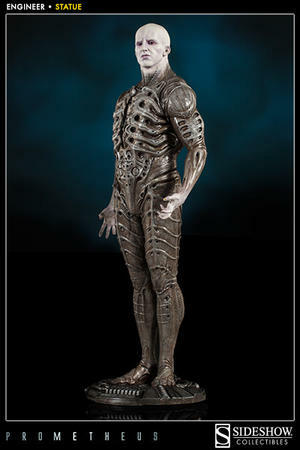 From the big screen to your collection, Sideshow Collectibles is proud to bring humanity's fascinating forerunner to life with the Engineer Statue. 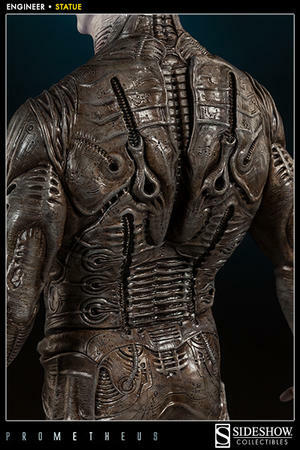 As seen on the surface of LV-223, the Engineer dons the form-fitting organ laced pressure suit with signature elements of HR Giger's genre-defining aesthetic. Individually hand painted and finished, Sideshow's artisans have painstakingly captured every detail of the last known Engineer for a remarkable addition to any sci-fi collection.